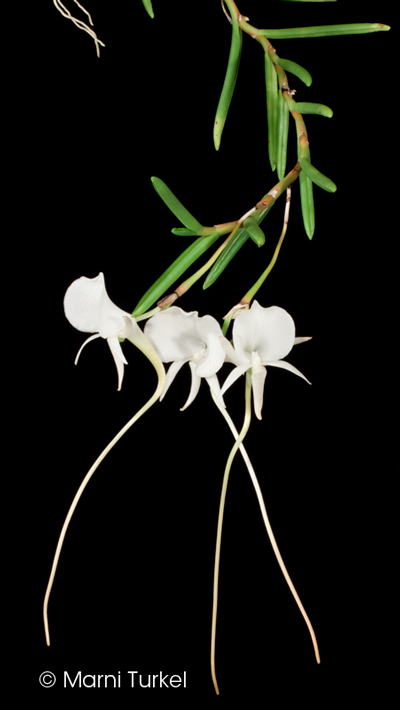 Angraecum scottianum #90367 outcross treated for ploidy conversion ('DB#1' x 'Popov') (approximately 25 seedlings per flask). These seedlings have been treated to alter the chromosome count. This does not guarantee that they will be 4N. For more information go to Ploidy. 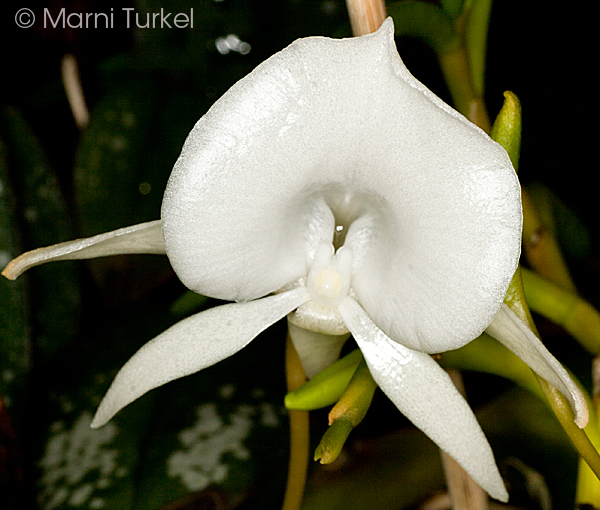 The Species: It grows on the Comoro Islands at elevations from 1320 to 2000 feet as an epiphyte. 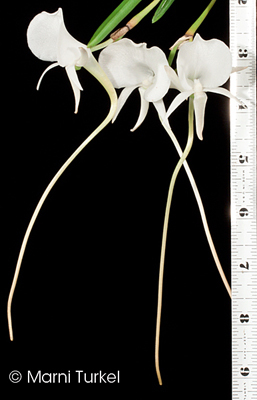 It has a cascading growth habit with terete (round in cross-section). It blooms off and on all year for me with flowers that are up to 7" from the lip to the tip of the spur. Culture: I have always grown this in intermediate to cool-intermediate conditions, but it should do well warmer. I give it year round moisture and dilute fertilizer. It gets moderately bright light. Some people grow this mounted, but I have done best with my plants potted in an open well-drained fine bark mix in an open net pot.